Seeds are essential for anyone on a plant-based diet and brilliant for growing children, as they are packed full of good oils, minerals and protein. 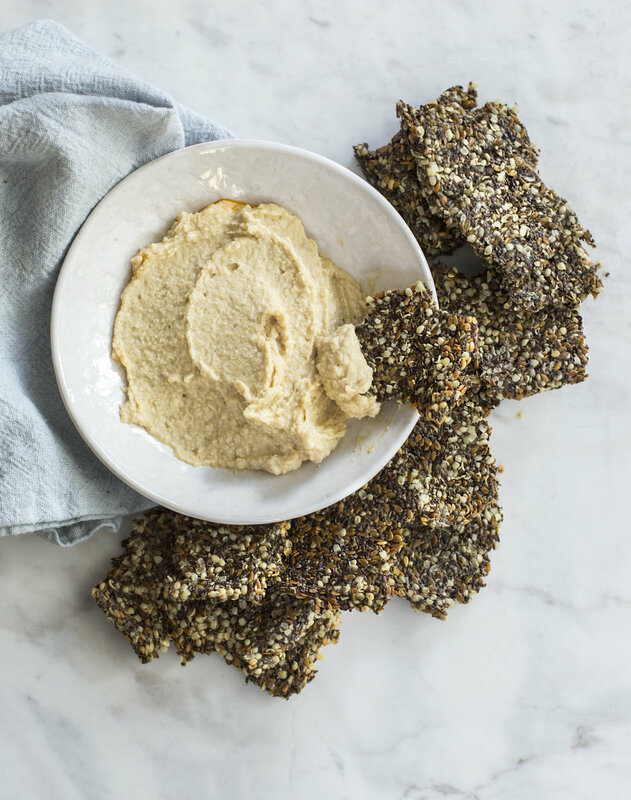 As a snack so many of us reach for crackers, but often the ones we buy in packets can be full of hidden sugars and gluten-heavy. Having a batch of these on hand is a easy way to keep those out of snack time and fill it instead with food that is supporting us and our children and will give us energy for a longer period of time. Heat the oven to 120 degrees Celsius. Line a 10 by 12 inch tray with baking paper. Mix the chia seeds, flaxseed powder and flaxseeds into a bowl and stir in the cup of warm water, letting it sit for ten minutes. Once it is thick then add the rest of the ingredients. Spread the mix into the baking tray, covering it evenly. Bake for one hour and then turn over and cook for another 10-15 minutes until golden brown. Leave the crackers in the oven when it is turned off for another 15 minutes. Remove from the oven and break into pieces. You can keep these if you store them in a air-tight container.